Inpulse has a dedicated team of multilingual and multi-skilled professionals committed to bringing positive changes in the life of financially excluded people through adequate support. We are based in three countries (Belgium, Poland et France): 6 staff in Brussels, 4 staff members in Warsaw and 1 in Paris. The team managers and investment team have extensive experience in due diligence, risk management and portfolio monitoring of investees in the social economy, microfinance and the informal sectors. The geographical scope of our staff experience covers the entirety of the European Union, neighboring countries, Africa and Latin America. 44, has over 19 years’ experience in equity financing of cooperative enterprises at the European level through Soficatra, a risk capital investment company for the Social Economy in Europe. He has been collaborating on the CoopEst project since its inception (i.e. over 6 years). Bruno is a member of the CoopEst Executive Committee and in this capacity is involved in all the development challenges of this vehicle of social finance, operating in Central and Eastern Europe and currently holding a portfolio of €38 M across 31 partner financial institutions. He is a graduate in Economic Science from the Free University of Brussels and also studied Political Science at Ludwig Maximilian University in Munich. Native in French, Bruno speaks German, English and Italian. 50, has 24 years experience in various areas of finance and audit. He is bilingual in Polish and French, fluent in English, Russian and German. 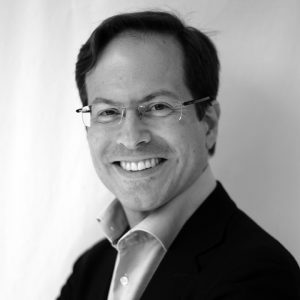 He has worked for audit firms (Deloitte & Touche and Mazars) as well as international corporations. In 2000, Michał joined TISE, then the private equity arm of the bank BISE.Since 2006 Michał has actively contributed to the creation of CoopEst and the development of its investment activity. Simultaneously with the duties of Chairman of the Executive Committee of CoopEst, he holds the position of General Manager of TISE SA (Warsaw). Michał graduated from the Economics and Finance Department at Institute d’études Plotinus – Sciences Po (Paris) in 1991 and from the Department of Applied Linguistics at Warsaw University in 1988. Bilingual Polish/French, Michal speaks English, Russian and German. 40, has 15 years experience in the financial sector, nine of them at Group Crédit Coopératif, where she contributed to the development of microfinance investments, an activity that she now heads. In this capacity, she has placed investments in banks, MFIs and Investment Funds. She has also structured a variety of operations to strengthen the capital reserve of enterprises in the social and socially responsible economy. 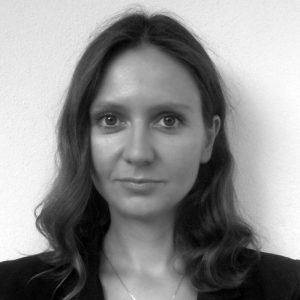 Previously, Priscilla was Financial Director of an MFI in the Philippines and Project Finance Manager at Dexia, Paris, in the renewable energy sector. Priscilla holds a Master’s degree in Political Science from Bristol University, Great Britain, and a Master’s degree in Management Science, main subject Finance, from the University of Paris Dauphine, France. 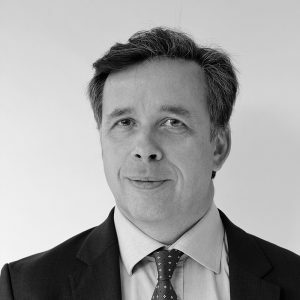 Nicolas Blondeau, 40, is an enthusiastic and committed professional with 15 years of experience in the microfinance sector. He first started his career in the field (Brazil, Kosovo and Guatemala), and then worked for private and public investment companies in Europe (Incofin IM, BIO and ADA). In his different responsibilities, Nicolas developed an extensive knowledge of the microfinance sector, especially in Africa, f.i. as Board memberof a Tanzanian MFI or following up a leading African investment fund. Nicolas holds a bachelor in Business Administration from the Louvain-la-Neuve University, in Belgium, and a Master in Development Cooperation from the Free Brussels University. Nicolas speaks French, Dutch, English and Spanish. 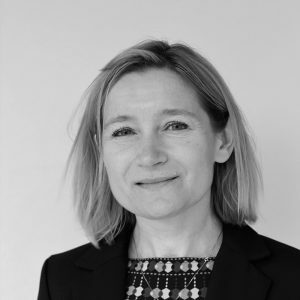 Izabela Norek, with 18 years of experience, took the position of CoopEst Risk Manager in 2009 and in 2012 joined the CoopEst Executive Committee. Her professional career has always been linked to business development, including a start-up phase and 12 years of managing a microfinance organization in Poland, for which she raised over 3 M€ of grants. During that period she gained an in-depth knowledge of microfinance, supplemented by study tours of various MFIs in Europe, Asia and Latin America. In addition, for two years she served as Board member of the Polish Association of Loan Funds. She holds a Masters’ degree in English philology and a post-graduate Diploma in Business from the Jagiellonian University in Krakow, Poland. She has also attended courses at Oregon State University and the University of Colorado, USA. Native Polish, Izabela is fluent in English, conversational in Russian and currently learning French. Joanna, Vice-President of TISE SA (Warsaw, Poland), supports CoopEst as a banking, cooperative sector and social economy expert. 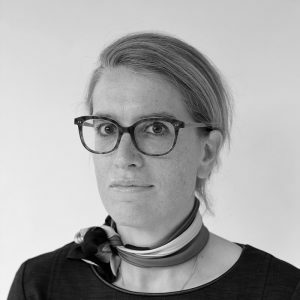 Joanna has a wide range of experience, in particular in assessment of investment projects, venture capital, SME and NGO nancing. In 1994 she launched a venture capital fund with a portfolio of 15 SMEs. From 1996 to 2007 Joanna worked in the BISE bank as a member and Vice- President of the management board, responsible for sales, product development, cooperation with guarantee funds, with the World Bank on local government nancing, and with the Council of Europe Development Bank on nancing SME development. Joanna graduated from Warsaw University of Technology (Faculty of Fine Mechanics). Native Polish, Joanna speaks English and French. 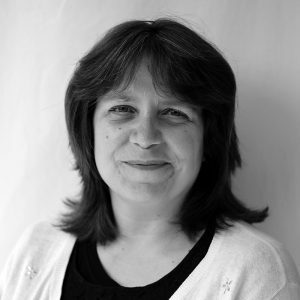 Justine Palermo joined Inpulse as a Business Development Officer in November 2014. Previous to Inpulse, Justine was working at Adie International (international subsidiary of the French MFI Adie chaired by M.Nowak) where she was in charge to support the creation and development of microfinance projects in Europe and the Mediterranean basin (Belgium, Greece, Tunisia, Kosovo) from the business planning to the MFI operational set-up. She also has a strong experience in social finance through her experience at Credit Coopératif and Finansol. Justine holds a master’s degree in International Public Management of Sciences-Po Paris. Justine speaks French, English, and has knowledge of Chinese (Mandarin). Monika joined CoopEst in 2007. She, performs analyses of nancial institutions, takes part in due diligence and portfolio monitoring. Her professional experience covers a wide range of areas connected with the cooperative sector, micro nance and social economy. Immediately after her studies she started working for TISE, a Polish company nancing SMEs and NGOs Monika holds a Master Degree in Management from SGGW (Warsaw University of Life Sciences) and in European Studies from SGH (Warsaw School of Economics). Native Polish, Monika speaks English and French. Laurence joined Inpulse as Risk and Compliance Manager in July 2017.For 30 years, Laurence has been developing a wide range of experience, in particular in Finance and Compliance. After a first experience of eight years at Cabinet Mazars as a financial auditor, she joined the Finance Department of Credit Lyonnais. In 2002, she joined Caisse d’Epargne Group, as member of the Board of Caisse d’Epargne Ouest, in charge of Finance and Risks. In 2007, she became the Chief Compliance Officer of BPCE Group. She launched the Compliance practice in BPCE Group. As member of the Board of BPCE, she spearheaded the liaison with various regulatory bodies. In 2013, she built from the ground up Natixis Bank in Belgium. Laurence graduated from HEC Paris and is a certified accountant. Native in French, Laurence speaks German and English. 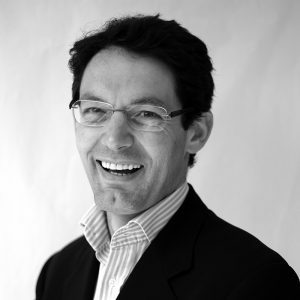 Francesco Grieco joined Inpulse as Social Performance Officer in September 2014. Previous to Inpulse Francesco was Program Manager at the European Microfinance Network in Brussels and worked for 6 years in Morocco where he served as Program Manager for the Development Cooperation Office of the Italian Embassy carrying out an initiative aiming at strengthening a selection of local MFIs through technical and financial support. 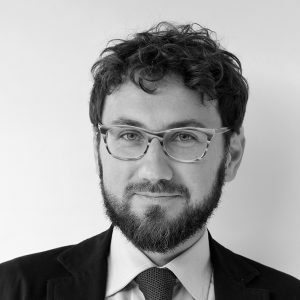 Francesco holds a master degree in International Relations from the University of Bologna and a master degree in Microfinance from the University of Brussels. In 2008 he took part in the Boulder Microfinance Program of the ITCILO. Francesco speaks Italian, French and English. 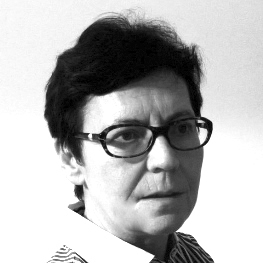 Valérie joined Inpulse as Executive Secretary in 2014. She contributed to the administration support of CoopEst and more recently CoopMed since their inception. 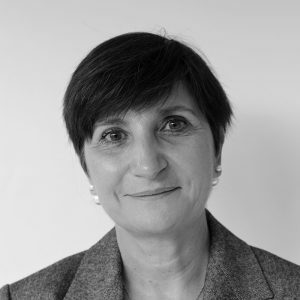 From 1997 to 2014 Valérie was Executive Secretary at Soficatra an investment company with a special focus on Social Economy SMEs (i.e cooperatives, mutuals) in the European Union. Valérie speaks French, English and Italian. 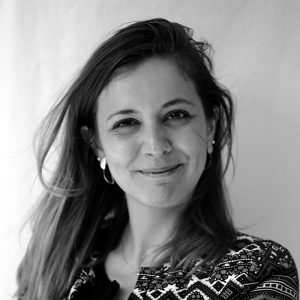 Ana joined Inpulse as Project Officer in 2017. Formerly worked at the Mexican Embassy to Belgium and Luxembourg in Brussels. In Mexico, worked for one year at the Ministry of Finance and Public Credit, analyzing agricultural projects for investment. She holds a licentiate degree in economics from the ITAM (Instituto Tecnológico Autónomo de México) and a postgraduate master degree in Microfinance from the Solvay Brussels School of Economics & Management. Ana speaks Spanish, English and French fluently. 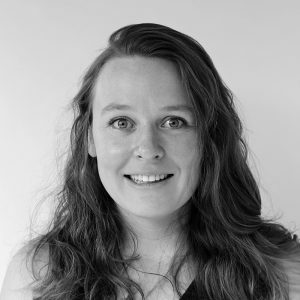 Isabelle joined Inpulse as a Project Assistant in December 2017. 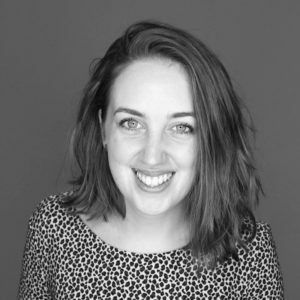 In her previous experiences, as an intern, she had the opportunity to contribute to the establishment of the first microfinance institution in Luxembourg and she volunteered in two microfinance institutions in East Africa (Tanzania, Uganda), as well as in a new microfinance project in the refugee camp Bidibidi in Uganda. Graduated from a master’s degree in “Enterprises in the social and solidarity-based economy” at the University of Lorraine and from the “International Master of Microfinance for Entrepreneurship” at the Universidad Autonoma de Madrid, Isabelle speaks fluent Luxembourgish, French, German and English.